It is every girl’s dream to have bouncy and silky hair. Some of you might not even mind paying exorbitant prices for a professional keratin therapy to add extra sheen to your locks. What if we told you that you could easily attain soft and silky hair without stepping out of your home? No kidding! Your scalp produces natural oils that keep the hair soft and silky – that is until it’s exposed to harsh chemicals, excessive styling, and environmental stress. Your diet also plays a significant role in the health of your hair. 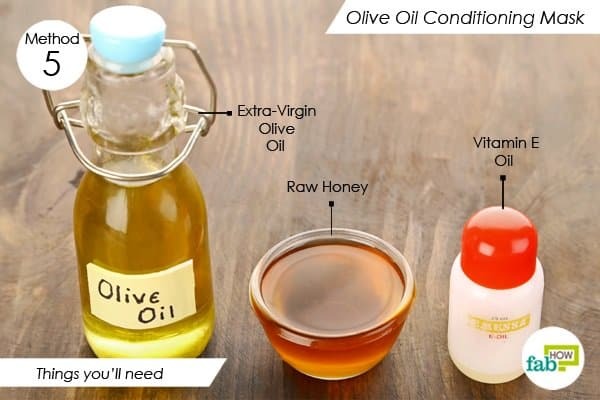 Irrespective of the texture and condition of your hair, everyone can attain soft and silky hair using ingredients that you likely have in your pantry. Items such as coconut and olive oils, eggs, honey and essential oils combine to form powerful concoctions to restore the sheen to your tresses and support healthy hair growth. To get you started on an excellent hair care regimen, we bring you the 10 most popular methods that will help you get silky, shiny and smooth hair with minimal effort and cost. 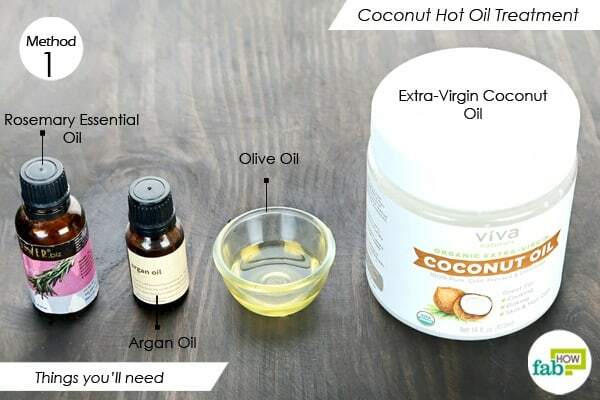 Nothing beats coconut oil when it comes to TLC for your hair. Rich in fatty acids, coconut oil helps replenish lost moisture in your hair and restore its sheen. It also acts as a natural sunscreen to protect your locks from harmful ultraviolet (UV) rays. Plus, coconut oil is a potent antibacterial that fights scalp troubles. To enhance the effectiveness of the coconut oil, this mask includes other healthy oils like olive, rosemary and argan oil. Note: For best results, use extra-virgin coconut oil. It is the least processed variety. 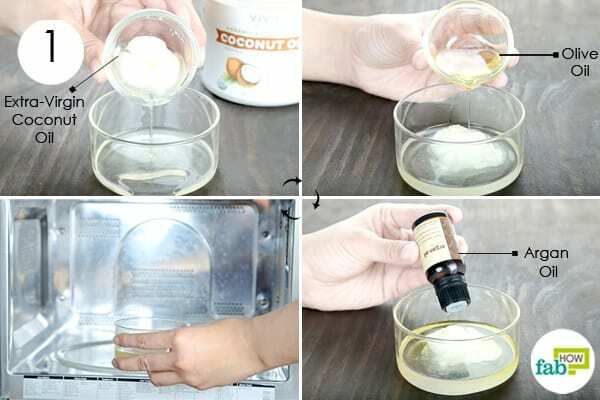 Put 2 tablespoons of extra-virgin coconut oil in a microwave-safe container. Add 1 tablespoon each of olive and argan oils. Microwave the ingredients on high for 30 seconds to 1 minute. Take it out and let it sit for a minute until the oil is comfortable to the touch. It should be slightly warm but not hot. Add 4 or 5 drops of rosemary essential oil. Dampen your hair slightly before you proceed. 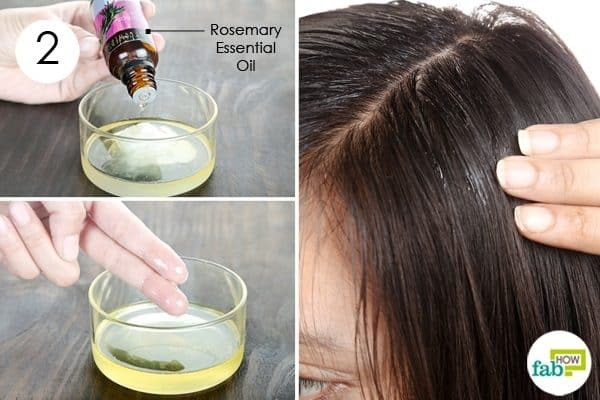 Use your fingers to apply the oil blend on your scalp. Work it into your hair, spreading the oil from the roots to the tips. Cover your hair with a warm towel and let it sit for 20 minutes. Shampoo and rinse your hair thoroughly. Use this mask once a week to maintain soft and silky hair. Adding honey and olive oil takes the benefits of this treatment one notch higher. The honey works as a natural humectant to lock moisture into your hair. The olive oil deeply moisturizes hair, and its fatty acids impart a natural shine. 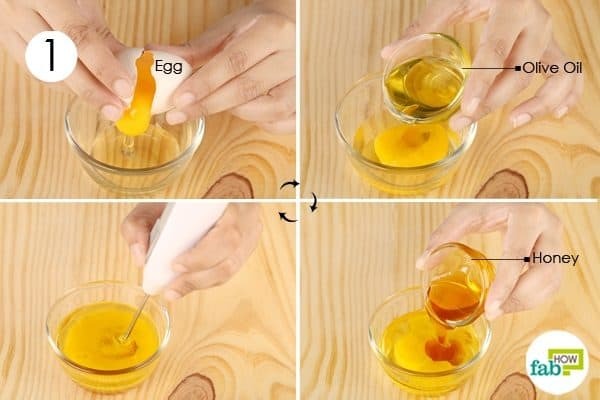 Break open an egg and pour it into a bowl. 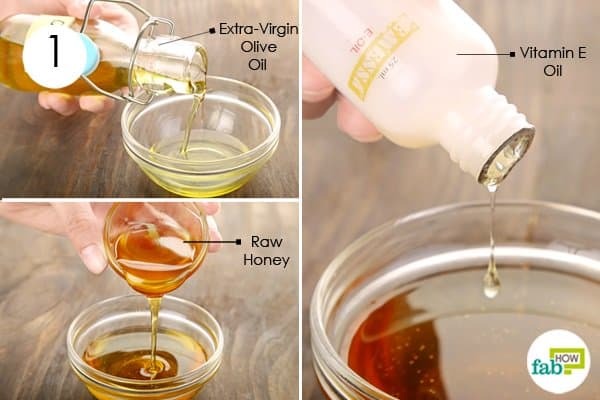 Add 2 tablespoons of olive oil and 1½ tablespoons of honey. Using a hand blender, whisk up the ingredients well. Use a dye applicator brush to apply the blend to your hair. Leave it in for 30 minutes. You can cover your hair with a shower cap to prevent dripping. Wash your hair using a mild shampoo. You can use warm water but not hot water, which will cook the egg in your hair and lead to a lot of mess. Use this nourishing egg mask once a week to get soft and silky hair. Your hair is made up of a hard protein called keratin. Using styling products and heat can damage the keratin and make your hair appear dull and lifeless. Gelatin, being a type of protein, helps repair damaged hair and also forms a sturdy and shiny protective coating on it. 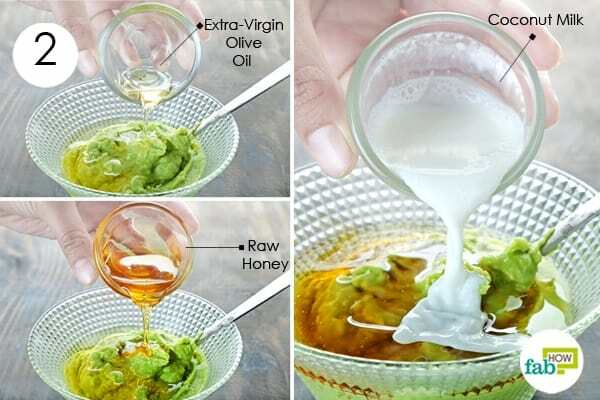 This gelatin hair mask also uses olive oil that moisturizes your scalp and hair. The lavender essential oil boosts healthy hair growth. Assemble a double boiler on your stove. Place a heat-safe glass bowl in the boiler with 3 tablespoons of water in it. 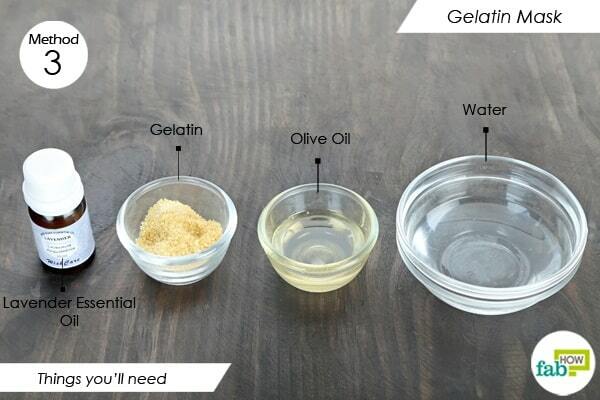 Once the water is warm, add 1 tablespoon of gelatin. 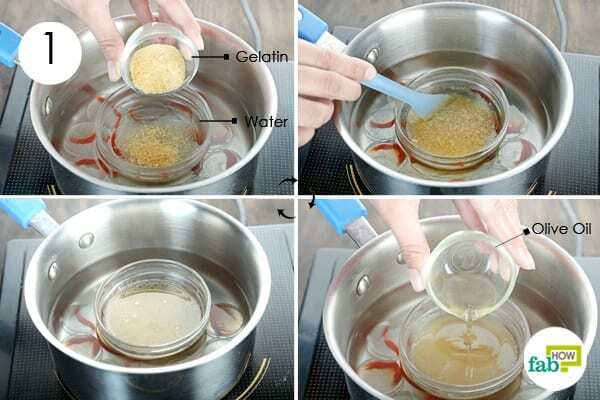 Stir slowly until the gelatin dissolves completely. Add 3 or 4 drops of lavender essential oil and mix well. 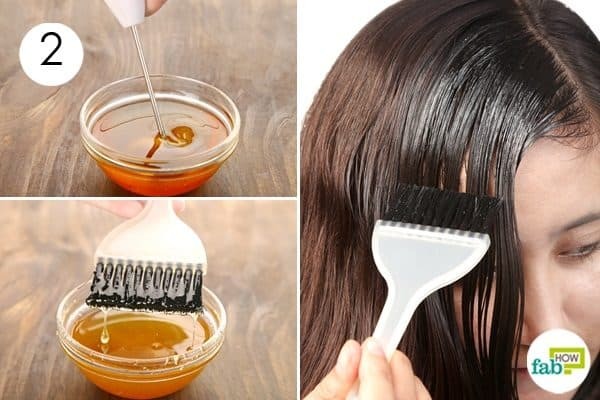 Use a hair dye brush to apply the gelatin mask on your hair. Cover your hair with a shower cap, and leave it on for 30 to 60 minutes. Rinse out the mask with warm water, then shampoo your hair. 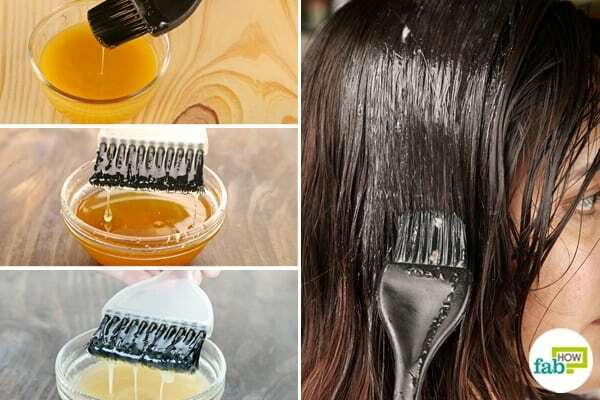 Use this mask once weekly to bring back the natural gloss of your hair. Hibiscus flower is another herbal remedy to get strong and glossy hair. The flower is rich in vitamin C that bolsters the collagen production in your scalp and leads to healthier hair growth. It is also rich in essential vitamins and minerals that strengthen and nourish your hair and scalp. To get silky, shiny and smooth hair, combine the crushed petals of hibiscus flower or use hibiscus powder with yogurt, honey, and rosemary essential oil. The yogurt helps cleanse the scalp, while honey locks moisture into your hair. The rosemary essential oil helps prevent hair loss and boosts hair growth. 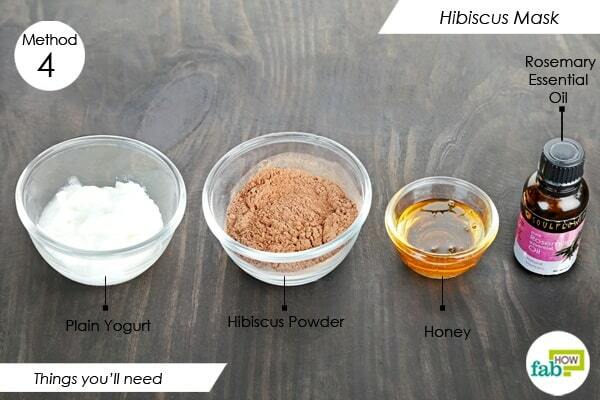 Put 3 tablespoons of hibiscus powder in a bowl. If using a hibiscus flower, crush 8 or 9 petals of the flower. Add 3 tablespoons of plain yogurt. 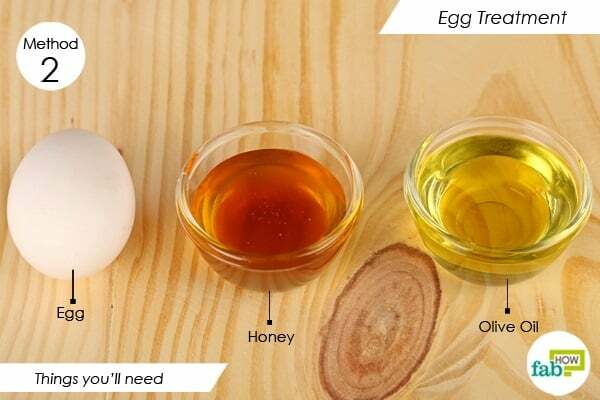 Add 1 tablespoon of honey as well. Optionally, you can add 3 or 4 drops of rosemary essential oil. 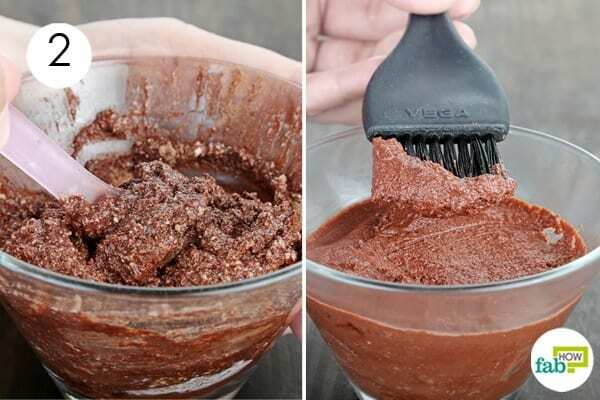 Use a spoon to mix all the ingredients into a smooth paste. Use a hair dye brush to apply the blend to your hair. Leave it on for 20 to 30 minutes, then rinse it out with plain water. Apply this mask once or twice every week to get bouncy and silky hair. Olive oil is one of the best solutions for hair issues. Olive oil in this mask along with vitamin E oil provides your hair with deeply nourishing fatty acids that help rejuvenate dry and dull strands. Regular use of this olive oil conditioning mask will also improve the elasticity of your hair. This hair mask also uses honey that works as a natural humectant to keep your hair moisturized. Pour 3 tablespoons of extra-virgin olive oil into a bowl. Use a hair dye brush to apply the mask from the roots to the tips of your hair. Put on a shower cap and leave the mask in for 30 to 90 minutes. Wash it out using a mild shampoo and apply a conditioner. Use this mask once a week for extremely dry hair. For normal and healthy hair, use it once every two weeks to keep your hair glossy. You may love mayonnaise on your sandwich, but your hair will love it, too. Made of egg whites and oil, it’s a readymade mask for silky, shiny, and smooth hair. The oils and the emulsified egg nourish your hair with proteins and essential fatty acids. Applying mayonnaise like a hair mask conditions your hair and leaves it smooth and glossy. It also helps you get rid of hair lice. 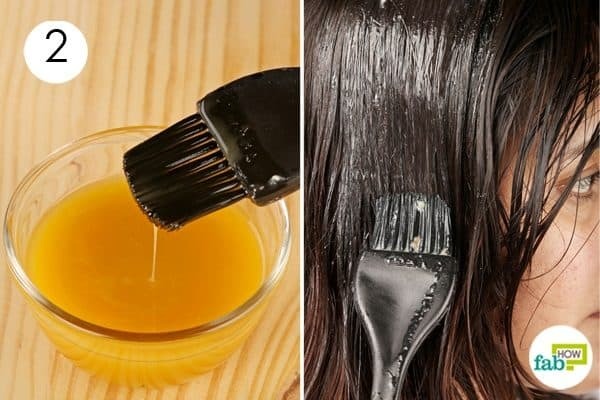 Use a hair dye brush to apply mayonnaise on your damp hair. Cover the strands from the roots to the tips. Roll up your hair in a loose bun and cover it with a shower cap. Wait 15 to 30 minutes, then wash it out of your hair with shampoo. 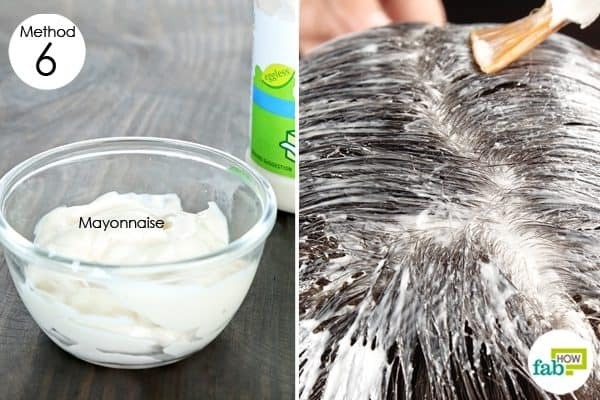 Apply mayonnaise on your hair once weekly to get silky hair. Apart from keeping your body healthy, apple cider vinegar can also contribute to your hair’s health. Using diluted apple cider vinegar as a rinse helps remove the buildup on your scalp and seal the cuticles to give you smoother hair. The enzymes in apple cider vinegar also add sheen to your hair by making it more reflective of light. Since apple cider vinegar can be strong for your hair when applied directly, it is important to dilute it first with water. 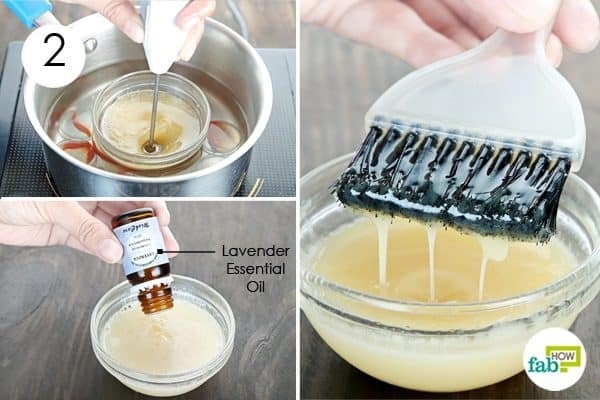 You can also add some lavender essential oil to cut through the vinegar smell and also to boost hair growth. 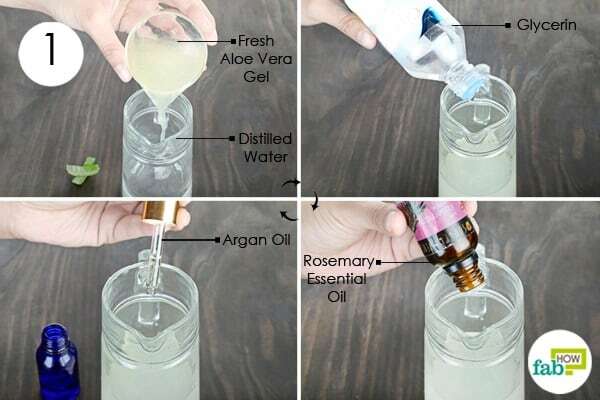 Pour 2 cups of cool water into a container. The cool water aids in closing the protective layer of cuticles on each hair strand. 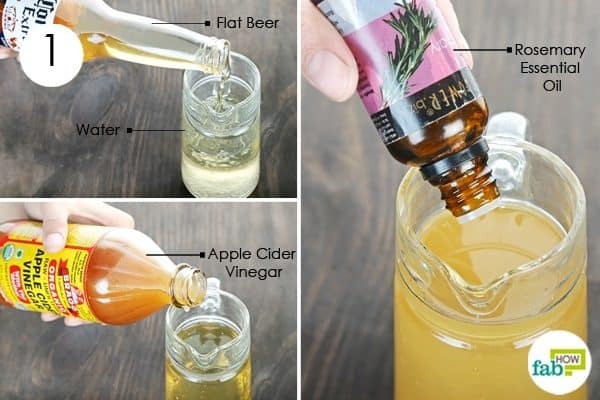 Add 4 tablespoons of apple cider vinegar. 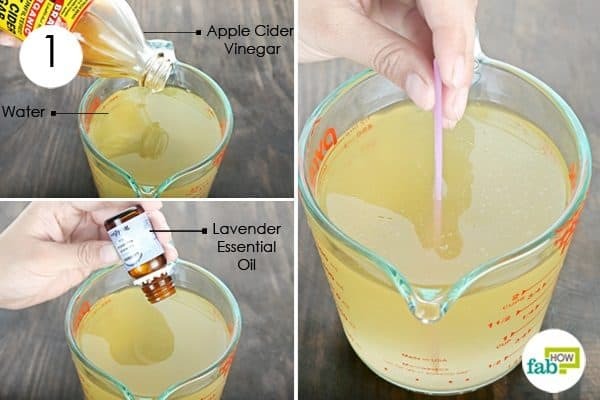 Optionally, you can add 1 or 2 drops of lavender essential oil to mask the smell of the apple cider vinegar. 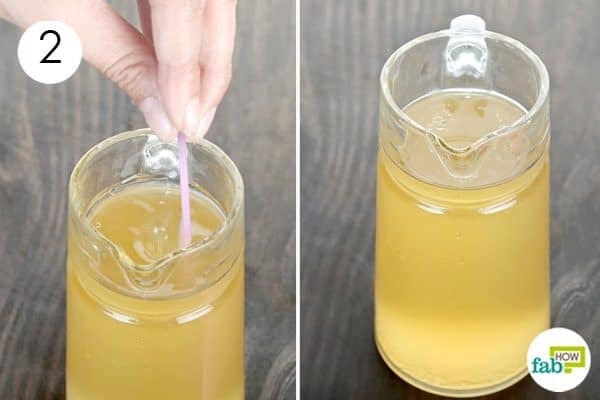 Transfer the solution to a more convenient jar. Shampoo your hair like you normally do. Do not use a conditioner. 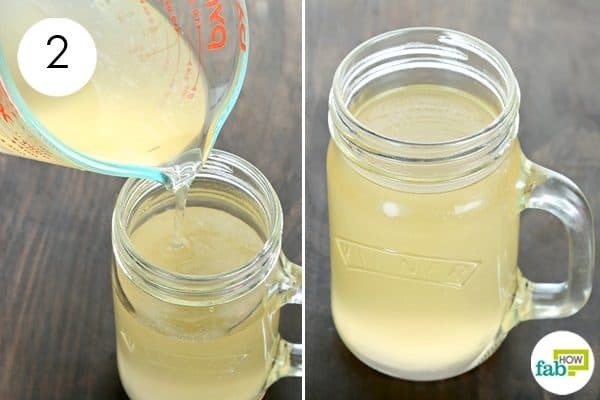 Thoroughly rinse your hair with the apple cider vinegar solution. Wait for 5 to 10 minutes, then rinse your hair with cool water. Use this rinse once a week to get silky, shiny, and smooth hair. If you have extremely dry hair, use it only 1 or 2 times a month. Aloe vera is another great ingredient for your hair. Naturally rich in vitamins and minerals, it adds a healthy gloss to your hair. The gel-like texture forms a protective coating on your hair and protects it from sun damage and pollution. If you have dry hair, you can add glycerin that works as a humectant to lock in moisture. This leave-in spray also uses argan oil that boosts healthy hair growth and rosemary essential oil to prevent hair loss. Note: Using distilled water increases the shelf life of this spray. 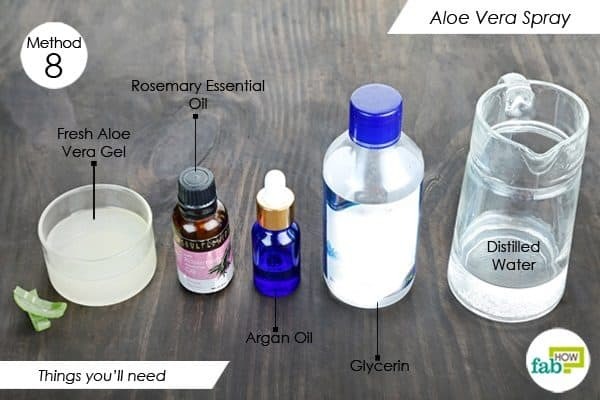 Add ¼ cup of fresh aloe vera gel. 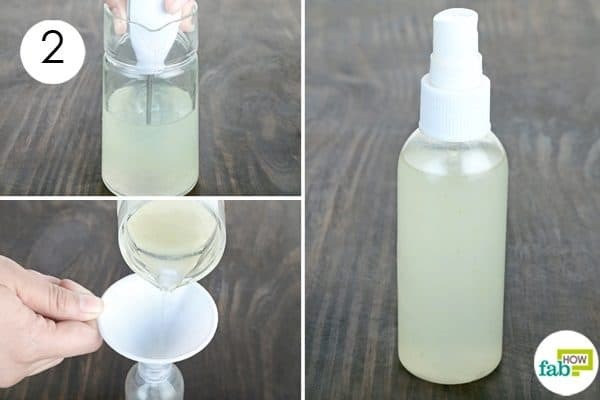 For dry hair, add ½ teaspoon of glycerin. Add 3 or 4 drops of rosemary essential oil. Add 1 teaspoon of argan oil as well. 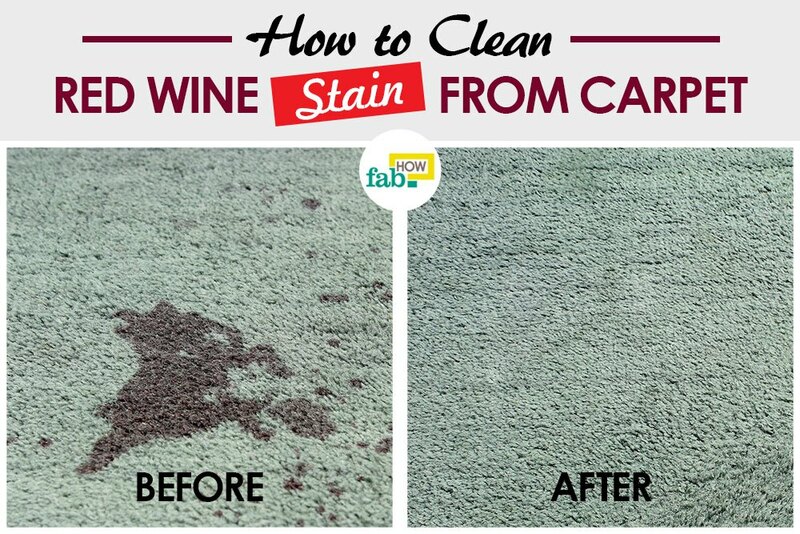 Transfer the blend to a spray bottle. After washing your hair, spritz the spray on your damp hair and leave it in. Avoid using it on the roots, as it can make your hair oily. Use this leave-in spray after every hair wash to add natural shine to your tresses. The shelf life of this spray is 1 week when kept refrigerated at all times. Fruits contain essential nutrients that can help restore dull and damaged hair to normalcy. 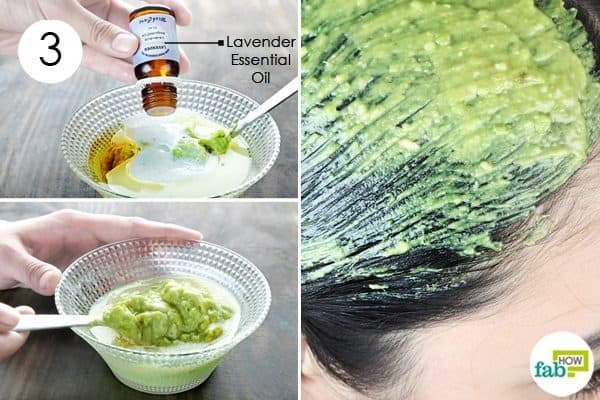 For silky hair, try using this avocado-based hair mask. Avocado is rich in fatty acids that deeply moisturize your hair and reduce the frizz. This mask also uses coconut milk, honey and olive oil that further hydrate and moisturize your locks. You can also add some lavender essential oil to boost hair growth. 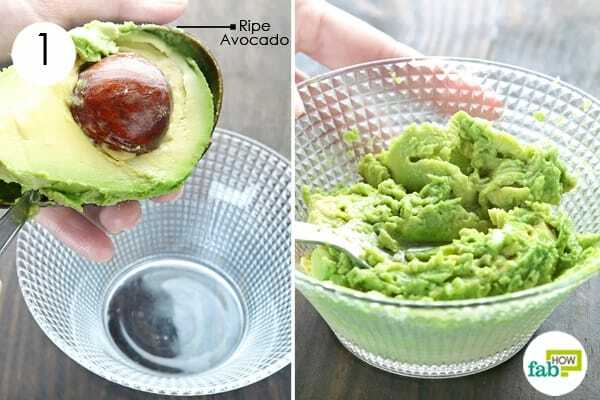 Take ½ ripe avocado and use a spoon to scoop out the flesh into a bowl. Use a fork to mash it thoroughly. 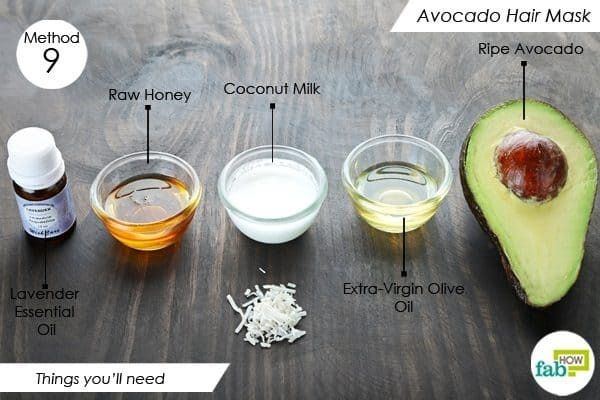 Add a ½ tablespoon each of extra-virgin olive oil and raw honey to the mashed avocado. Add 1 tablespoon of coconut milk as well. Optionally, you can add 1 or 2 drops of lavender essential oil. Apply the mask to your damp hair and scalp using an applicator brush. Wash your hair with a mild shampoo and allow it to air-dry. Use this mask once a week to frizz-free silky, shiny, and smooth hair. A flat beer rinse also works great for your hair. The grain proteins in the beer nourish your hair and scalp and soften the strands. 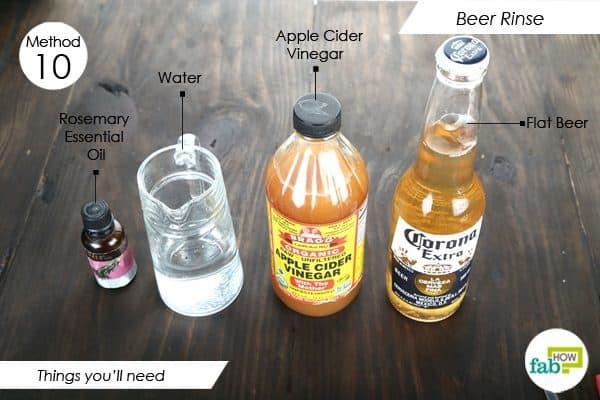 However, to use beer for shiny hair, you will need to blend it with some apple cider vinegar and water. The enzymes in apple cider vinegar will make your hair more reflective of light. If the smell of the apple cider vinegar and beer bothers you too much, you can add some rosemary essential oil. Pour 1 cup of water into a pitcher. Add 1 cup (8 ounces) of flat beer to it. 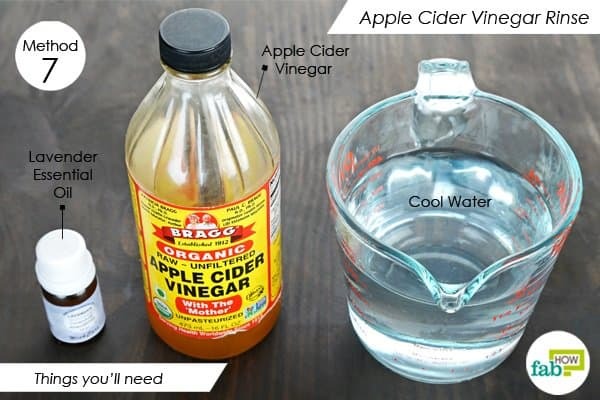 Add 1 to 2 tablespoons of apple cider vinegar. Optionally, add 3 to 5 drops of rosemary essential oil. Stir well to blend all the ingredients. Instead of using a conditioner, pour the beer rinse over your hair. Massage your scalp for 2 to 3 minutes, then rinse your hair with cool water. Allow your hair to air-dry. Rinse your hair with beer once every week to get silky, shiny and smooth hair. Avoid using too many hair products, as it can lead to a chemical buildup on your scalp and stall hair growth. Avoid using heat styling equipment, as they tend to dry your hair out and also make it brittle. Washing your hair too often can also make your hair look dull. If you have fine hair, it is ok to wash it every other day; for thicker hair, washing it once a week will do. Replace commercial shampoos with herbal or homemade shampoos. 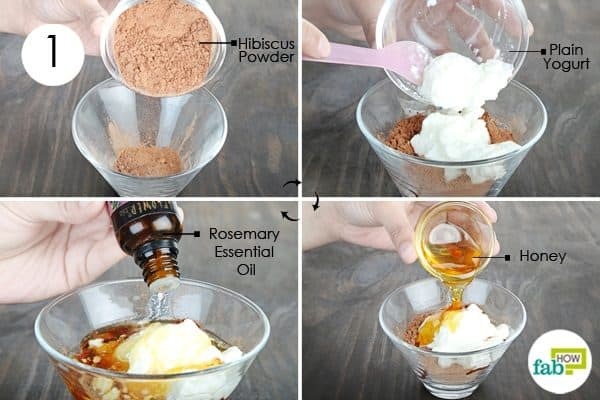 You can check out our DIY shampoos. Using a homemade hair serum free of chemicals also protects your hair against environmental damage.